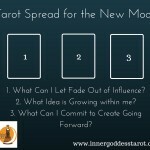 Thinking about trying a Tarot reading for the first time, but not sure what to expect or what you might get out of it? 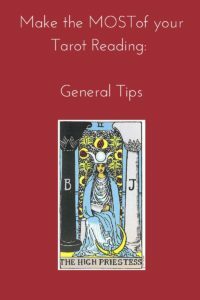 Here are some tips to help you decide if a Tarot reading is right for you, and how to get the most out of the experience. Do some research first. 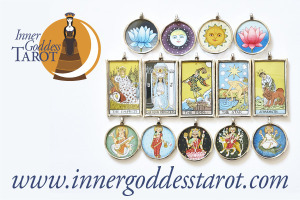 There are many different kinds of Tarot readers, its a good idea to make sure that you are on the same wave length with a particular reader before you take the plunge. Do an internet search, look at the reader’s website/blog/You Tube channel, ask friends for recommendations. Think about the kind of reading are you hoping for…are you looking for straight up predictions? Gentle guidance? Before you book a reading, see if you get a good feeling or resonate with the reader, and if they can deliver the service you desire. In my case, I am always upfront with my clients about my style. I don’t claim to be an all-knowing psychic, I use a conversational/collaborative approach, and although predictions and future possibilities are a part of my readings, I am generally coming from a place of inner work and self growth rather than fortune telling. Get an idea of what Tarot can (and can’t) do for you. In my opinion, the cards can show you what your future may be like as a result of your decisions, your current actions and attitudes, and how you react to the energies around you, not because we are bound by fate. Generally, I don’t think the cards just show you things that are going to happen, whether you like it or not, tough luck. If you want to refine or change the direction you are going, the Tarot can help you to identify the areas of your life that you need to focus on, and beneficial next steps. They can give you a new perspective, confirm what you may already know deep down, and make you aware of options and opportunities that you didn’t know you have. 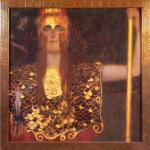 Tarot readings empower you, and can be an enjoyable and inspiring experience. Do some prep work before your reading. Before your reading, take time for some quiet reflection and try to get some clarity on why you decided to consult the cards. Before I meet with a new client, I send them an email asking some questions that will help them to prepare for the reading. I ask what they hope to get out of our time together, I ask them to think about what it is that they want to ask the cards, so that we can hit the ground running when we meet. Make some notes if you need, and bring them to your reading. Make the most of your time with the reader. Try to have an idea of what you would like to ask the cards before you arrive for your reading. It can be very meaningful to simply ask the cards what you most need to know right now in general, but if you can come up with a more specific question, you will get a more specific answer. Also, don’t be afraid to engage with the cards and the reader during your Tarot reading. If a particular card or aspect of a card catches your eye, mention it. If you would like further clarification from the reader, ask. A collaborative approach to a reading leads to a much deeper experience. Be open to the experience, try to approach it with curiosity and optimism. Go with an empowering approach to the reading. As far as what to ask the cards, I find that Yes/No questions are the least illuminating, it’s better to ask something like, “What will happen if I…”, or “What do I need to know about…”. The question should be phrased so that the answer gives you guidance, clarity, and empowering next steps/options. If you aren’t sure what you want to ask or how to ask it, the Tarot reader can help you form just the right question(s). Take notes, photos or make a recording. To help you remember what was said and what insights were reached during the reading, feel free to take notes, or to record your session. Take a photo of the Tarot spread. Although the power and meaning of the experience stays with you long after the reading, it is amazing how fast the details can evaporate from your mind! 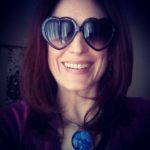 Some readers (like me) offer Tarot packages that include follow up by email after your reading, this is a great option as well. Do the work afterwards. The cards can offer us new perspectives, insights, and point to the next steps that can be taken to help us reach our goals. That being said, we still have to do the WORK. The cards show us options and possibilities, but it is up to us to make things happen. Ask your reader for homework (I love giving homework!) so that you can stay on track in the days and weeks after your reading. If you feel hesitant to do a reading in person, try an email reading first. There are benefits that are unique to readings done by email. Practically speaking, email readings are very easy to fit into your schedule. You don’t have to make an appointment or be at a certain place at a certain time, or find a free hour in your busy work day. Also, some people (introverts like me) like to have the time to quietly formulate their question on their own, without any external pressures, and many people might not feel comfortable enough to discuss a private matter with a reader in person, but would be fine doing it by email. Also, with an email reading you receive a document that you can refer to in the future, as often as you like or need. So there you have it. I love the cards. I have seen the impact a reading can have, the joy and inspiration it can bring. 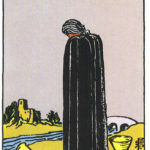 I think a Tarot reading should be an honest and uplifting experience. It is a beautiful thing, exploring the cards together, connecting in a spirit of hope, positivity and sincerity. The cards don’t pull any punches, but even when they are tough with us, they always give us options, inspiration and compassion. It would be my pleasure and honor to read the cards for you. 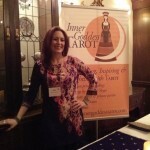 Feeling like Tarot is right for you? Do you resonate with me and my approach? Book your reading today.